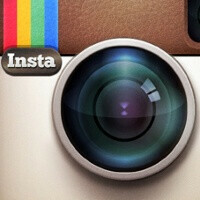 BlackBerry is talking with Instagram and Netflix to bring the apps to its BlackBerry 10 platform. BB10 launched with 70,000 applications and managed to get some big names on board from day one - Skype, Kindle, Whatsapp are just some of the apps that are now or will be soon available on the BlackBerry World market. Instagram and Netflix have been two of the sore omissions, though, and news that BlackBerry is negotiating getting them is definitely welcome. However, The Verge has seen Instagram running on the Z10 and it looks like it is running on the custom runtime for Android apps, which means the app isn’t native. From what we’ve seen so far, BlackBerry 10 does support Android apps via that runtime environment, but the performance is far from perfect. The real question seems to be whether Instagram and Netflix will develop native apps, providing a true BB10 experience. Dude you do realize that bb10 hasnt launched yet ? While the wp8 phoneis already launched half a year ago ? Having 70000 apps at day 1 launch is not bad.look at wp 7 does it have many apps like bb10 at day 1? Path, Google+ and Tumblr too please.. I think its a bit unfair to criticize it at this point. They are certainly at a good starting point, better than the other platforms were at their respective starting points. I suppose it can be argued that it technically started with the Playbook, and that would be a good point. That said, I am actually impressed at the support BB10 has gotten initially. If the phones have good starting sales I wouldnt be worried too much about future app support.